UPDATED NEW QUOTE BY ULDIS SPROGIS 1255!!! This entry was posted in common sense and tagged common sense, done, inherited, knowledge, quotes, thought, truth, wisdom, wise sayings, words on November 21, 2018 by uldissprogis. Many of us have thought and researched a problem and still feel indecisive because we either don’t know what to do or have so many options that we have trouble choosing what should be the right one first. We consult other humans with similar situations in life and sometimes find their decisive solutions to be acceptable in our situation also. When in doubt or faced with indecision then try to find someone who has been through the same problem and has successfully resolved it. It can be your spouse, a close personal friend, or a licensed professional. Further research on the internet from humans who have had your problem and found solutions to it are also an excellent source to end your indecisiveness. 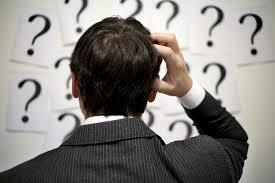 Finally, if you are faced with indecision it is just a question of more time needed to research a solution to your indecision and you may even conclude that the best decision is to make no decision at all!!!!!! This entry was posted in common sense, education, science, society and tagged common sense, education, indecision, inquiry, judgment, language, opinion, science, society, the truth about indecision, thought, words on June 14, 2014 by uldissprogis.